For Father’s Day, we asked some of the staff members to share some special memories of their fathers. What is a memory you have of your father? We’d love to have you share your stories in the comments below. One year the snow was so deep that we couldn’t get far enough into the forest to get to where we would usually find our Christmas tree. So Dad, not to be defeated, cut down a couple of the scrawnier trees from closer to the road, and rigged the tree stand to accommodate two trees. Once it was decorated you’d never have known that it wasn’t one beautiful tree. With Dad, circumstances would never get in the way of a good celebration. Almost every Saturday night during winter my Dad would take me ice skating at the rink near our house. And every Saturday after we came back home he would make me hot chocolate – the kind where you mix the chocolate in the warm milk in a pot on the stovetop. We haven’t gone skating together in years, but I still think of those nights whenever I make myself hot chocolate today. 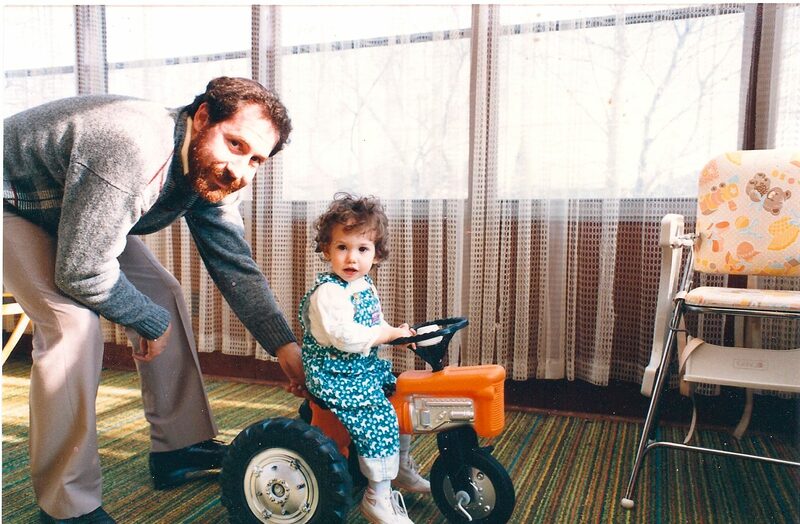 Growing up I had little understanding and appreciation of my dad’s work as a truck driver. It wasn’t until one Christmas holiday, while I was in university, that I would discover the challenges and difficulties of his job. The day before Christmas Eve, my dad received a call from his work to make a quick delivery to a city only a couple of hours away. Thinking it would be a quick trip, he invited me to join him, and to his surprise I did. Unbeknownst to us a major blizzard was fast approaching as we ventured out. As our journey began we found ourselves in whiteout conditions, forced to drive at slow speeds. Despite the storm, the journey became an opportunity for us to talk for many hours and deepen our friendship. I discovered my father to be a man of profound wisdom, insight and deep compassion. I watched in awe as he navigated the terrible conditions with such calm and peace. It was along that journey that I saw in my dad the type of man I wanted to be. 24 hours later and 70cm of snow deeper, we arrived home: tired, but closer than ever before. Every Saturday morning when my two sisters and I were kids, my dad would take us to the public library to get our weekly stack of books. He would drop us at the kids’ section and go and browse for his own books. An hour or so later, after we had found our books (and read some of them, which meant finding new ones to check out), we would go wandering through the adult section to find Dad, who was happily perusing the shelves. During the week that followed, we would devour the new books as we delved into worlds unknown. My sisters and I are still avid readers, thanks to Dad and our weekly pilgrimages to the Toronto Public Library.